Homura Akemi (暁美 ほむら) is the deuteragonist of the anime series Puella Magi Madoka Magica, and the main protagonist of the sequel movie Rebellion. Homura is a magical girl who first appears in an apocalyptic nightmare of Madoka's. She transfers into her school the day after the dream. She is a beautiful, mysterious individual that performs exceptionally well in academics and athletics. This makes her instantly popular even though she is cold to others. Homura's cold personality developed from repeating the same timeline again and again. She was originally a shy, weak transfer student who spent a long time in hospital due to heart disease. She was befriended and eventually saved from a witch by Madoka, who revealed that she was a magical girl. When Madoka was killed in her battle with Walpurgisnacht, Homura contracted with Kyubey in order to become a person that could protect her. She became a magical girl with the ability to manipulate time, allowing her to return to her first meeting with Madoka in order to change her fate. She tries again and again to prevent Madoka from being killed or becoming a magical girl and, inevitably, a witch, but is never able to save her. She always returns to the beginning of the month upon failure. Despite her main goal being to protect Madoka, her desire is considered to be a self-destroying obsession by many, and ultimately leads to her becoming the Devil in an attempt to give Madoka the life she believes she wants. Powers and Abilities: Superhuman Physical Characteristics, Superhuman Athleticism, Magic, Magically Enhanced Physiology, Enhanced Leap, Magic Detection (Can sense the presence of Witches nearby), Healing (Was able to repair her eyesight with magic), Weapon Creation, Weapon Arsenal, Weapon Mastery, Weapon Enhancement, Missile Generation, Portal Creation (Mami is able to create portals to enter a witch barrier, and Homura should have this power too), Telepathy, Transformation, Regeneration (Low-High. 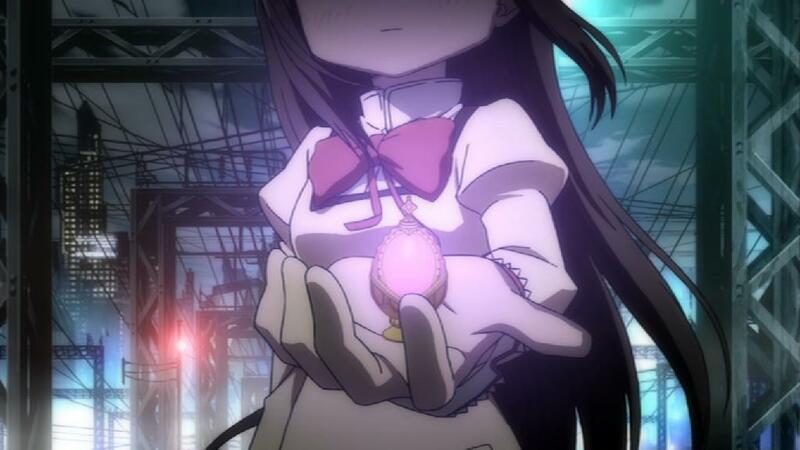 Can regenerate as long as her soul gem isn't destroyed), Immortality (Types 2, 6 and 7), Self-Resurrection (In Grief Syndrome), Time Manipulation (Due to the nature of her wish, Homura can manipulate time), Time Stop (By stopping the flow of the sand timer, Homura is able to stop time), Temporal Protection, Self-Puppetry (Can contain and preserve her soul into a soul gem), Dimensional Storage w/ her shield (Can store an unlimited amount of items in her shield), Temporal Rewind, Time Travel (Can travel up to one month back in time), Magiportation, Transmutation (Turned a Nightmare into a cake), Volatile Constructs, Volatile Manipulation, Explosion Manipulation w/ her bombs, Light Manipulation w/ Flash Grenade, Speed Augmentation w/ Clockup, Speed Reduction w/ Clockdown, Damage Amplification w/ her Connect, Evasion w/ her Connect, Stun Attack w/ her Magia, Indomitable Will w/ her Magia (Can survive a critical attack with 1 HP), Statistics Amplification w/ her "One More Story" Memoria, Defense Augmentation w/ her "One More Story" Memoria, Negation w/ her "Fulfilling the Sworn Promise" Memoria, Probability Manipulation w/ her "Fulfilling the Sworn Promise" and "Girls With Glasses on a Date" Memoria, Status Effect Inducement w/ her "My School Life" Memoria, Water Manipulation and Rain Generation (Showed these powers during the Summer event in Magia Record), Summoning (Can summon Sayaka and her Doppel), Fruit Generation (Created a pumkin out of nothing), Age Manipulation (Homura ages and turns into an adult during her transformation in Magia Record, before returning back to normal), Duplication and Paper Manipulation (During her transformation in Magia Record), Background Manipulation (During her transformation in Rebellion). Resistance to the followings: Magic, Stun Attack and Paralysis Inducement w/ her "How Will Our Luck Be This Year?" Memoria, Curse Manipulation w/ her "A Short Rest (Madoka, Homura)" Memoria, Sleep Inducement, Illusion Creation, Power Nullification, Madness Manipulation, Power Absorption, Life Absorption, Mind Manipulation, Time Manipulation, Time Stop and Soul Manipulation. As a Doppel, she has the following abilities: Darkness Manipulation, Danmaku, Summoning (Can summon her familiars and Kyubey), Mind Reading and Information Detection (Can extract information of low importance from Kyubey and solidify time sand into a replica of any weapon that exists on Earth), Plant Manipulation and Seed Generation (Created a palm tree and a sunflower which can shoot several seeds during the Summer event in Magia Record), Invulnerability (Can endure and become invincible for the remainder of the turn), Precision Reduction, Life Absorption, Reality Warping, Pocket Reality Manipulation, Invisibility, Mind Manipulation, Curse Manipulation, Despair Enpowerment, Despair Inducement, Negative Emotion Empowerment, Sadness Inducement, Mindscape Materialization, Illogical Maze Creation, Labyrinth Manipulation, Suicide Inducement | All of Moemura's abilities, but enhanced, Magic Combat (Showed this power during her fight with Mami and when she one-shotted Sayaka), Vehicular Manipulation (During her last fight with Walpurgisnacht, she freely manipulated and controlled a truck), Barrier Magic (Can create a defensive ward that repels attacks), Magical Energy Manipulation (Fired bolts of magical energy at Kyubey), Defense Break w/ Coolness Black and Merciless, Magic Bullet Projection w/ Sorcery-type Pistol and Sorcery Gun, Emotion Empowerment w/ Emotion Blow, One Hit Kill w/ Witch Slayer (With this weapon, Homura can defeat a witch with a single hit), Astroremkinesis w/ Meteor Shower, Memory Manipulation (In the new world created by Madoka, Homura gained the ability of memory manipulation, allowing her to change the memories of herself and others), Magic Arrows and Energy Manipulation w/ Ebony bow (Can generate magical arrows which are able to destroy several Wraiths at once), Telekinesis and Glass Manipulation (Broke several glass panes with her telekinesis. Was also able to turn her body into glass during her transformation), Flight (According to the Pachinko game, Homura can literally fly like she did during the Walpurgisnacht fight), Teleportation (Used this power in her battle with Walpurgisnacht in the prologue and during the Charlotte fight), Status Effect Inducement w/ her "Outing in Plain Attire" Memoria, Spatial Manipulation (Seems to use this power during the fight between Sayaka and Kyoko in episode 5, where she completely redraws the wall layout, the floor, and the lighting in the background, after using her time stop), Wing Manifestation, Acausality w/ her shield (Was one of the few people, along with Sayaka, Nagisa and Kyubey, who remembered Witches, even if they were erased from existence by Madoka), Miracle Manipulation (Due to a transcendental connection with Madoka, Homura can perform miracles without being aware of them), Corrosion Manipulation and Corrosion Inducement w/ her wings, Fire Manipulation (Showed here), Guardianship (Received by Madoka the task to protect the world from Wraiths), Darkness Manipulation (Showed here), Summoning (Can summon and control Homulilly's familiars), Curse Manipulation, Pocket Reality Manipulation (Can manipulate the dimension inside her soul gem), Memory Manifestation (Created her "fantasyland" inside her soul gem), Creation (Created the Nightmares as new obstacles for the magical girls to fight), Consciousness Grounding (Caught Ultimate Madoka, and returned to her being a normal girl, by absorbing her powers), Unnatural CookingHT (She is a master fry cook, whose food can increase the stamina of other magical girls), Power FistsHT (Created a shockwave larger than Earth by punching Walpurgisnacht), BFRHT (Can send enemies inside her shield), Power AugmentationHT (Can increase her power level by upgrading her contract with Kyubey), Toon ForceHT (Was able to survive Madoka's attack, which destroyed Walpurgisnacht and Mitakihara City even before the training for becoming much stronger than the witch. Could also survive a punch from Sayaka even if the latter was stated to be much stronger than regular magical girls/witches), TechnopathyHT (As Professor Homura). As a Doppel, she has the following abilities: Darkness Manipulation, Missile Generation, Dimensional Travel, Karma Manipulation and Fate Manipulation (Can weave the threads of karmic destinies into a more intricate karmic destiny), Summoning (Can summon her familiars and Kyubey), Mind Reading and Information Detection (Can extract information of low importance from Kyubey and solidify time sand into a replica of any weapon that exists on Earth), Life Absorption, Reality Warping, Pocket Reality Manipulation, Invisibility, Mind Manipulation, Curse Manipulation, Despair Enpowerment, Despair Inducement, Negative Emotion Empowerment, Sadness Inducement, Mindscape Materialization, Illogical Maze Creation, Labyrinth Manipulation, Suicide Inducement | Superhuman Physical Characteristics, Magic, Magically Enhanced Physiology, Portal Creation (Can create a portal to bring people inside her labyrinth), Telepathy, Transformation, Skeleton Physiology, Large Size (Type 2), Fruit Manipulation w/her minion Lilia (Can fire large nuts from its mouth like cannonballs), Misfortune Embodiment w/ her minion Liese (Its role is to bear bad news), Body Magic (Can freely control the arms in her back to destroy everything around her), Animal Manipulation (Can summon and control bird-like minions named Liese), Immortality (Types 2, 7 and 8. According to her official card, Homulilly can live as long as her dimension exists), Summoning (Can summon her familiars), Life Absorption, Reality Warping, Pocket Reality Manipulation, Selective Invisibility (Witches can only be seen by magical girls, other witches and Kyubey), Darkness Manipulation, Mind Manipulation, Curse Manipulation, Despair Enpowerment, Despair Inducement, Negative Emotion Empowerment, Sadness Inducement, Mindscape Materialization, Illogical Maze Creation, Labyrinth Manipulation, Suicide Inducement, Weapon Creation and Weapon Mastery w/ her Clara Dolls | All of the above, but upscaled to her new level, Almighty Ascension, Ascended Physiology, Anti-God, Cosmic Entity Physiology, Higher-Dimensional Physiology, Reality Recreation (Recreated the universe by using a barrier which engulfed the universe itself), Principle Manipulation (Kyubey stated that Homura created a new principle in the Puella Magi verse), Conceptual Manipulation, Abstract Existence (Type 1. 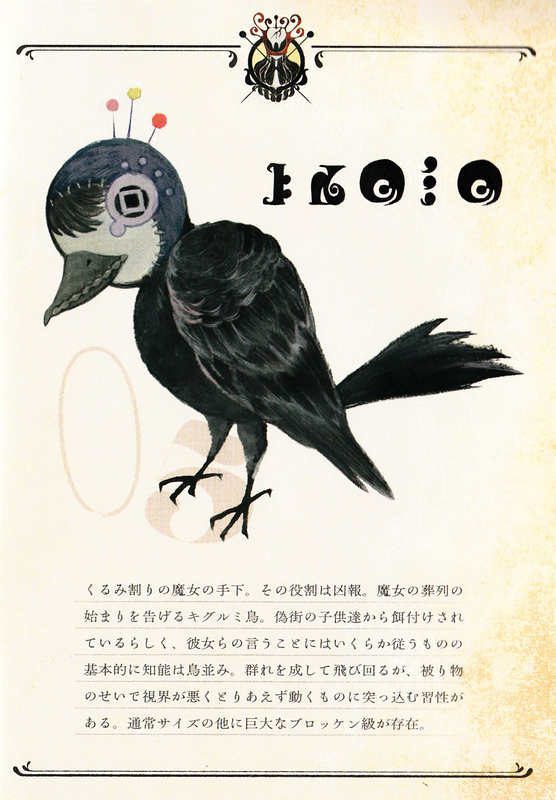 Embodies the concept of "Evil" and exists as a concept in the Puella Magi multiverse), Law Manipulation (Rewrote the laws of the whole multiverse), Spatial-Temporal Lock (Exists outside of time and space), Non-Corporeal, Large Size (Type 6, will eventually become Type 9), Immortality (Types 1, 3, 5 and 9), Regeneration (Mid-Godly. As being the concept of Evil, it is necessary a high level of Conceptual Manipulation or Law Manipulation to defeat her), Eye Color Manipulation, Size Manipulation, Illusionary Environment, Dimensional Manipulation, Nigh-Omnipotence, Power Nullification (De-summoned Oktavia by clapping her hands). Standard Equipment: Soul Gem, Magical Shield, golf driver, pipe bombs, IMI Desert Eagle, FN Minimi, Beretta 92FS, Remington 870, Howa Type 89, M26 grenades, M84 stun grenade, RPG-7, AT-4, C-4 explosives, L16 mortar, Type 88 Surface-to-Ship Missile , Magical missiles, Ebony Bow. "About to Leave in Haregi" Memoria. "Fulfilling the Sworn Promise" Memoria. "Girls With Glasses on a Date" Memoria. "How Will Our Luck Be This Year?" Memoria. "I Want to Become Someone Who Can Protect Her" Memoria. "I'll Repeat It No Matter How Many Times It Takes" Memoria. "A Short Rest (Madoka Homura)" Memoria. 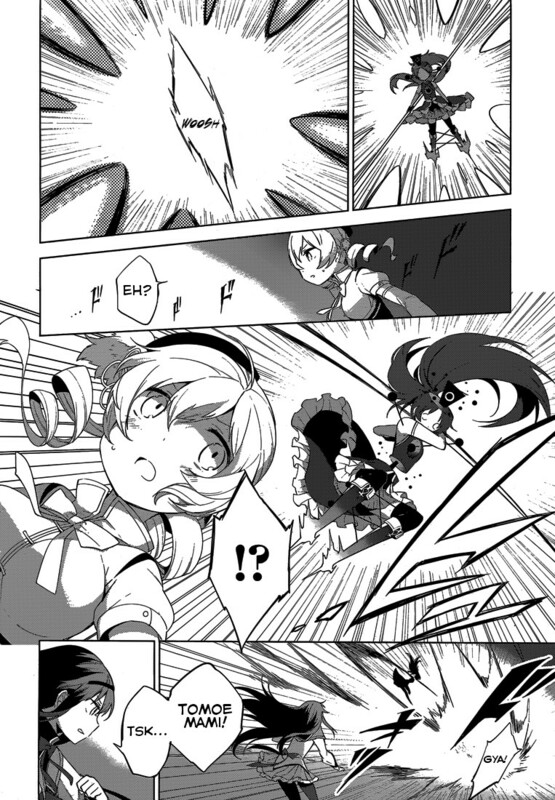 Blunt Striker: Homura strikes an enemy with her golf club. Double Blunt: Homura smashes an enemy with her golf club. Time Stop: Stops all enemies actions for five turns. Time Bomb: Throws a bomb, dealing damage to enemies who touch it. Magnum: Homura fires her pistol at an enemy. Support Squad: Homura rapidly fires her pistol at an enemy. Time Leap: Teleport to the current floor's starting point. Clockup: Casts Haste on all allies. Delay Mine: Places a mine at a nearby space. Damages enemies. Anti-tank Rounds: Fires an unending torrent of rockets. Flash Grenade: Throws a flash grenade. Can Stun enemies. Sticky Grenade: Throws a homemade time bomb at enemies. Hazmat MK4: Conjures a tanker, causing a massive explosion. Anti-Armor Missile: Fires an anti-armor missile, dealing high damage. Clockdown: Homura casts Slow on enemies in front of her. Magical Arrow: Fires a piercing magical arrow at an enemy. Black Wings of Corrosion: Strikes with black wings in an area, dealing high damage. Resist Abnormal Mental State: Resists sleep, hallucination, disable attack and madness. Drain Resistance: Resists drain and magic absorption. Let's do our best together! : Every magical girl has a connect skill. Every attack that a magic girl initiates charges up her connect gauge, which stores up to 3 charges. Once a magical girl's connect skill is full, it may execute a Connect. Homura's Connect allows her to evade the incoming attack and increases the damage inflicted by Homura's Magia by 20%. Time Stop Special: Homura's Magia allows her to fire several bullets at her enemies, stop time, throw several pipe bombs and release time stop, dealing a great damage to her opponents. Doppel Homulilly: When her soul gem turns black, Homura transforms into her Doppel, Homulilly. This Doppel seems more like a witch compared to any other magical girls. The Doppel can extract information of low importance from Kyubey and can replicate any weapon existing on Earth by solidifying the time sand. It can also restore the magical power of Homura's team by 16.5%. With the two of us, even if it's a major enemy: Mizugi Homura's Connect allows her to evade the incoming attack and increases Homura's attack by 35%. Stormy Shore Doppel-fishing Special: Mizugi Homura's Magia allows her to jump high in the sky, throw a fishing rod at her enemies and summon Sayaka with her Doppel, which can damage the opponents and generate rain. It also stuns the enemies and allows Homura to survive one fatal attack with 1 HP. Mizugi Doppel: Mizugi Homura's Doppel is very similar to her main one. However, it has a straw hat instead of a witch hat and can create a sunflower and a palm, both able to shoot bullets at her opponents. Memoria: Memoriae are the crystallized memories of magical girls. They are equipable items, each providing different bonus stats and abilities to a magical girl. Homura can use several types of Memoria, most of which grant her the ability to increase her stats. She can only use up to 4 Memoriae at a time. About to Leave in Haregi: Increases the damage inflicted by Homura's attacks by 20% and drops the enemy's precision by 50%. 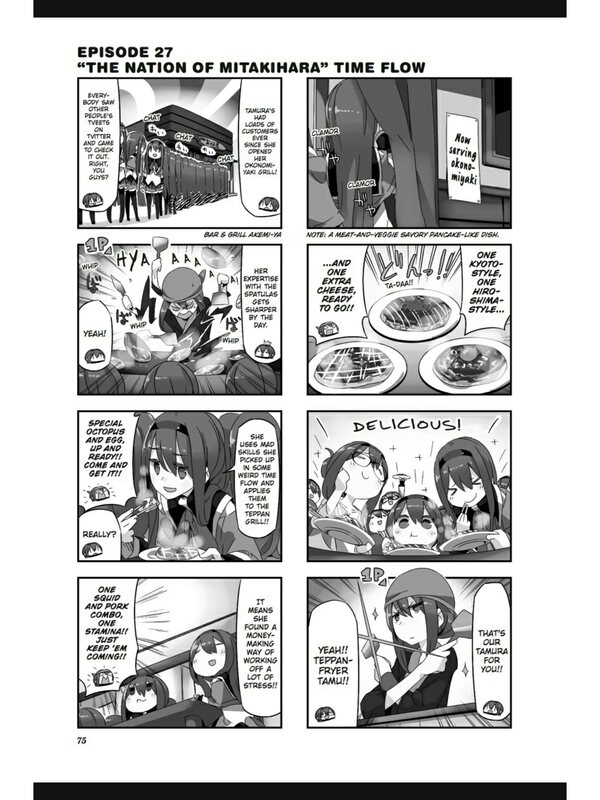 Everyone Has Gathered: Increases Homura's gained experience by 20%. Fulfilling the Sworn Promise: Allows Homura to ignore Evade effect on enemies and gives her 30% chance of dealing a critical strike. Girls With Glasses on a Date : Gives Homura 40% chance of a critical hit. How Will Our Luck Be This Year? : Gives Homura resistance to stun attacks. I Want to Become Someone Who Can Protect Her: Reduces the cooldown of active memorias by an additional 1 each turn. I'll Repeat It No Matter How Many Times It Takes: Increases the magical power gained by Homura by 10%, the damage inflicted by her blast attacks by 20% and the damage inflicted by her charged attacks by 7.5%. My School Life: Gives Homura 20% chance of burning her opponent. One More Story: Increases Homura's attack by 30% and her defense by 37.5%. 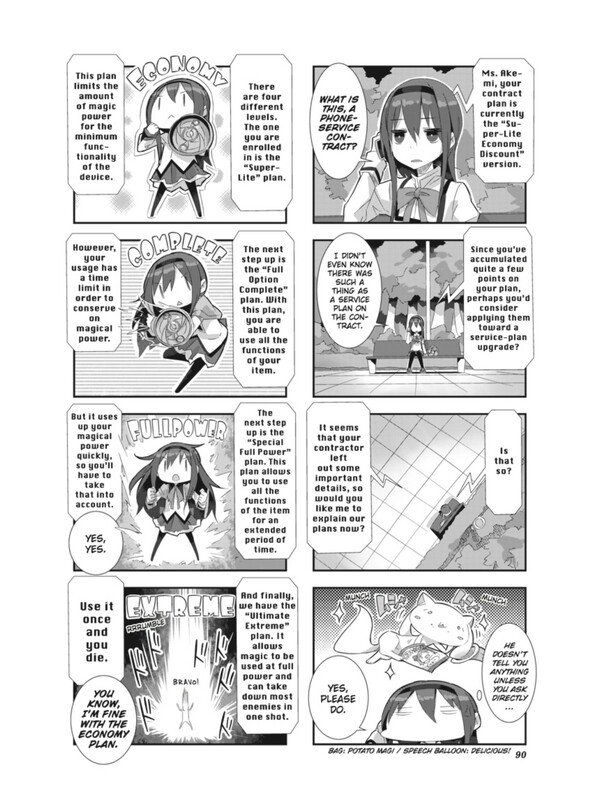 A Short Rest (Madoka Homura): Allows Homura to recover 2% of her health and gives her resistance to curses. Time Traveler: Increases Homura's defense by 15%. Welcome Back! : Allows Homura to recover 35% of her health. "A Bit of True Hope" Memoria. "In A Broken World" Memoria. "Outing in Plain Attire" Memoria. "Searching for a Ray of Hope" Memoria. "The Price of a Wish" Memoria. "The Struggle Against Fate" Memoria. "The Magical Girls Who Entwine Fates With Madoka" Memoria. 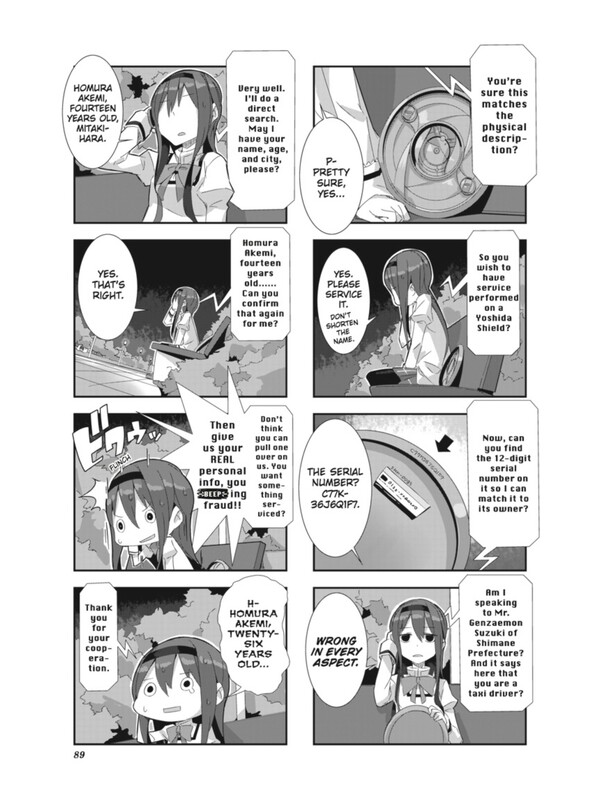 That'll be your prey: Every magical girl has a connect skill. Every attack that a magic girl initiates charges up her connect gauge, which stores up to 3 charges. Once a magical girl's connect skill is full, it may execute a Connect. Homura's Connect allows her to increase her attack by 40%, gives her 70% chance to deal a critical hit and can stun her enemies. Crossfire Missiles: Homura's Magia allows her to fire several missiles followed by two big missiles that causes a massive explosion and can damage her enemies. Doppel Homulilly: When her soul gem turns black, Homura transforms into her Doppel, Homulilly. 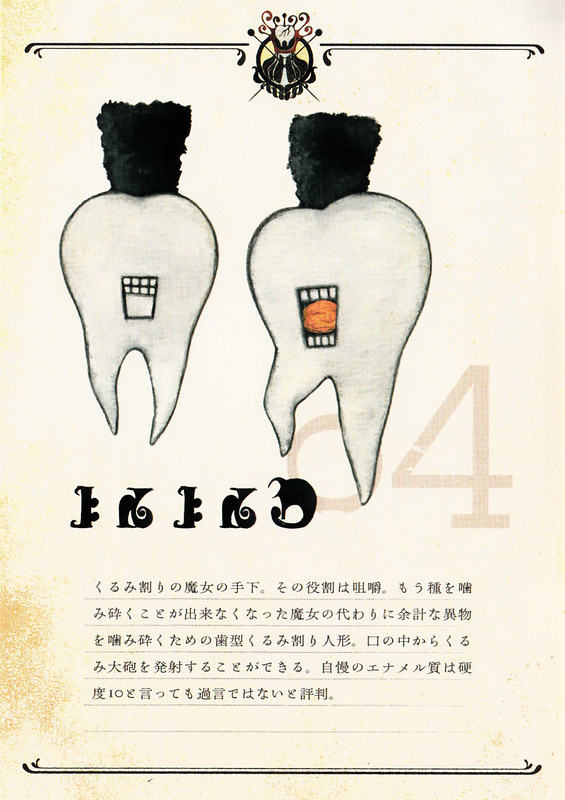 This Doppel is regarded as the Doppel of Karma and its shape is the mortal world. It is accompanied by fourteen familiars whom remove any obstacle in the way and weave the threads of karmic destinies into a more intricate karmic destiny, chasing Homura to a labyrinth to make her escape more difficult. The Doppel can extract informations from Kyubey and generate powerful missiles, firing them with her familiars to harm her opponents. It also gives Homura 55% chance to stun her enemies and allows her to deal a critical hit. Memoria: Memoriae are the crystallized memories of magical girls. They are equipable items, each providing different bonus stats and abilities to a magical girl. Homura can use several types of Memoria but she can only use up to 4 Memoriae at a time. A Bit of True Hope: Removes all Debuffs. Born Amidst Light: Decreases enemies' ability to evade Homura's attacks by 70% and increases Homura's attack by 15%. Closely Watched Heart: Increases Homura's defense by 37.5%. Embrace Your Hopes and Dreams! : Allows Homura to recover 2% of her health each turn. Hearts, Shared: Increases Homura's defense by 15% and her magical power by 5%. In a Broken World: Allows Homura to attack soon after an ally's attack and allows Homura to evade the incoming attack. Lively Neighbor: Increases Homura's attack and defense by 25%. Outing in Plain Attire: Allows Homura to recover 2% of her health and gives her resistance to status effects. Searching for a Ray of Hope: Increases the damage inflicted by Homura's Magia by 7.5%. The Price of a Wish: Allows Homura to negate Evade effect on enemies and increases the damage inflicted by her attacks. The Struggle Against Fate: Gives Homura 10% chance to evade the incoming attack. 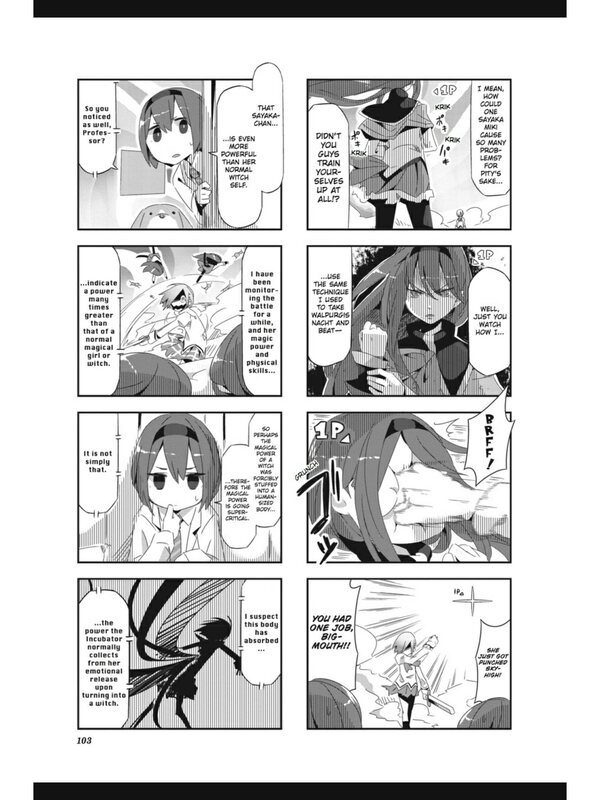 The Magical Girls Who Entwine Fates With Madoka: Increases the damage inflicted by Homura's Magia by 10%. NOTE 1: Homura doesn't have Infinite Speed in her base form even if she can freely move when time is stopped, because it is an effect of her magic and it is resistance to Time Manipulation/Time Stop rather than Infinite Speed. 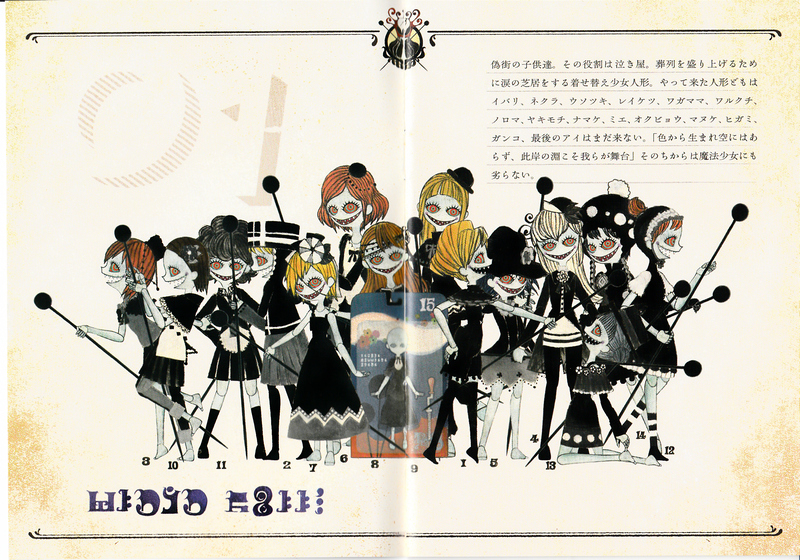 NOTE 2: If you want to know the reasons of 4-A magical girls, read these blogs. NOTE 3: In this page I'll call Glasses Homura "Moemura" to simplify things. Moemura is a nickname that was given to Homura (Glasses version) by her fans. NOTE 4: This profile features all the Homura versions, including the ones from Homura Tamura (Tamura Akemi, Professor Homura, Bar Homura), which are distinguished from the main version for the HT at the top of the power. Homura's sketch by Junichiro Taniguchi . Homulilly (1st form) from Witches Artwork. 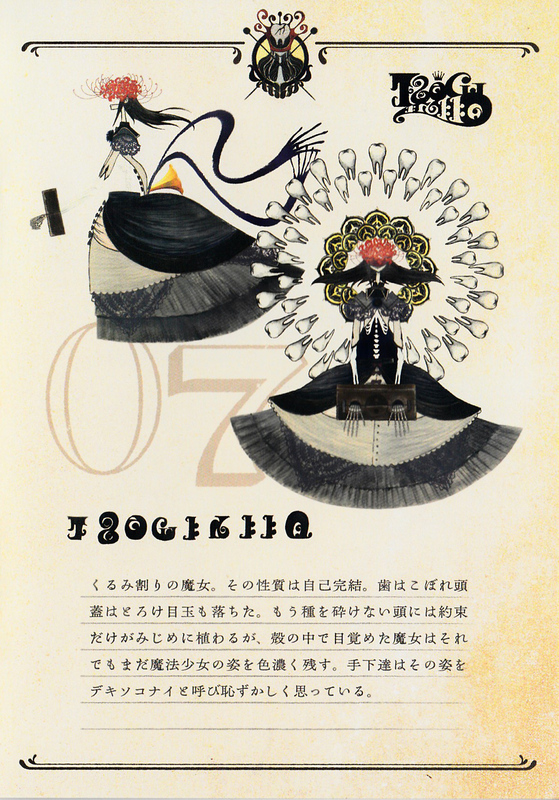 Homulilly (2nd form) from Witches Artwork. Homulilly from the Inu Curry gallery. Doppel Homulilly (Mizugi version) card.